Investing During Retirement is Different. The importance of creating predictable, growing income and managing portfolio risk cannot be overstated if you are to have the best chances of sustaining your wealth throughout retirement. Financial independence in retirement doesn't just happen. It takes planning, commitment, and a great team guiding you. HCM Wealth Advisors takes great pride in helping our clients reach retirement without a change in lifestyle. We work closely with you to develop a comprehensive strategy to help make the best tax, investment and financial decisions to support your personal and financial independence. Your tax burden is one of the few financial variables you can control. Do it well! HCM Wealth Advisors offers comprehensive tax services. We can design an efficient tax plan as part of your larger wealth plan, and we can help you prepare your tax return. We make the entire process easy. Since our founding in 1990, HCM Wealth Advisors has had at its core a strategy of dividend-growth. By including companies that pay growing dividends in your wealth plan, you benefit from dependable, diversified cash returns that grow faster than inflation, helping you achieve real financial independence. All organizations benefit from centralized financial operation. Families are no different. HCM Wealth Advisors can fill the role of your Family’s Chief Financial Officer, from bill payment to managing your family's foundation. HCM Wealth Advisors is one of a small number of Advisors that has accepted a fiduciary duty to every one of our clients both ethically and legally. That means we put your interests first, always. This is the highest legal duty from one partner to another, binding us to act ethically and in your best interest. At HCM Wealth Advisors we’re proud to say that we’re always looking out for your best interests. 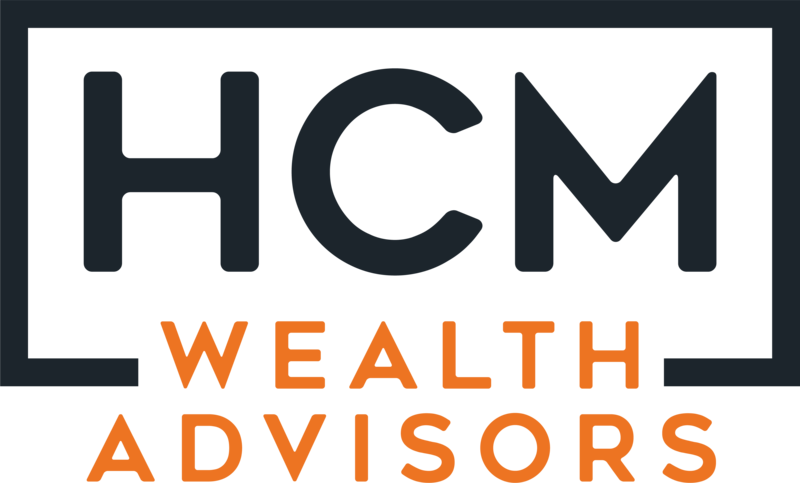 HCM Wealth Advisors is a fee-only registered advisory firm. That means we don’t make money from commissions or any other sources other than the fees our clients pay for our services. It also means we won’t be trying to sell you complicated or expensive financial products that you don’t need. It does mean that we do better when you do better, so you can rest easy knowing that we’ve got your best interests at heart, because your interests are our interests. HCM Wealth Advisors is proud to be independent. We are not a subsidiary of a larger company, and no one from New York will be telling us how to handle our relationship with you. We make decisions to benefit you, not the stock price of a national firm. HCM Wealth Advisors thinks long term, in our financial planning and our social resonsibility. For that reason, we’ve chosen to “go green” by adding solar power generation to our office. Over the next 25 years, our solar installation will eliminate the pollution equivalent of 71,548 gallons of gasoline or 695,120 pounds of coal burned. For those clients who are interested, we also offer a Socially Responsible Investment portfolio. Our SRI portfolio invests in companies with records of solid environmental, social, and corporate governance performance.